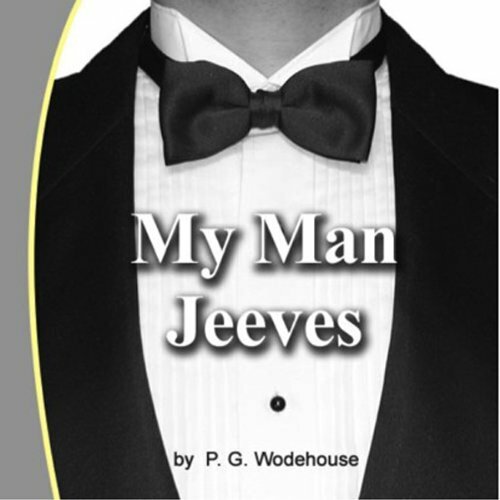 First published in the UK in May 1919, My Man Jeeves is a compilation of short stories by P. G. Wodehouse. Of the eight stories in the set, half presents the famous characters Jeeves and Bertie Wooster, whereas the others concern Reggie Pepper, an early prototype for Wooster. In this classic novel, few of Wodehouse’s short stories "Leave It to Jeeves" (revised for Carry On, Jeeves as "The Artistic Career of Corky"), "Jeeves and the Unbidden Guest" "Jeeves and the Hard-boiled Egg" appeared in the Saturday Evening Post although the book was not originally published in the United States. Is it possible that there wasn?? ?t a single male actor in the entire British Empire available to narrate this 20th Century British classic? It was a huge disappointment to listen to this recited by an American. Entirely. There were no other British men in the entire world available to read this? Look elsewhere for this story, I am sure SOMEONE out there with an English accent has recorded it. Other books in the series cover these stories in this book. Jordan Gaither American accent is all wrong. Don't listen to this book.